I’m a little preoccupied with words and literalism this week, so please bear with me. If your church follows the Lectionary that prescribes the bible readings that you’ll hear each Sunday, then you just began a lengthy journey through the gospel of Matthew that’ll take you well into the fall. If you didn’t, well, you might just want to sit with these thoughts for a minute this week anyway. As the concluding words to the story of Jesus’ time with the disciples, I want to read that as a commission to go and do as Jesus has taught, to go and share the good news and baptize people into this understanding of how God is present in the world, as Father, Son and Holy Spirit. (There’s the reason for hearing it on Trinity Sunday.) I want to read this as Matthew’s version of the moment in John’s gospel when Jesus says“love one another. As I have loved you, so you must love one another. By this everyone will know that you are my disciples, if you love one another” (John 13:34-35). But I’m feeling the weight of the words in Matthew: authority, make disciples, obey, commanded. I’m wondering at how we’ve often done missionary work in the past, when our behaviour has been anything but the love that Jesus intended us to share. We’ve certainly exercised authority, commanded and taught to obey, but so often not in the context of “love your neighbour as yourself” (Matt. 22:39). More often to make others simply be more like us. Hold that thought, please. And then, this week, we jump back in Matthew to the story of Jesus finding there is such a need, that he sends the disciples out – specifically to “the lost sheep of the house of Israel” – to “proclaim the good news … cure the sick, raise the dead, cleanse the lepers, cast out demons.” And here again, I wonder if we haven’t got lost in the words. It’s a nice story about the disciples, it refers to a specific group of people back in those days and calls for them to do some things we just can’t do. So many ways to distance ourselves from this story! But Jesus is really only asking them to do what he’s been doing: healing brokenness and restoring life. We can do that. And if Jesus is targeting a specific group in need (the neediest, even), well, shouldn’t that make the task easier, not harder? We can do that. Isn’t Jesus just asking them to go out and be Jesus? We can do that. Yes, we can. Jesus’ teaching isn’t just words, it’s a way of living. And it doesn’t involve authority or power over people and it certainly doesn’t mean exercising that power to make people be like us. Jesus doesn’t ask us to love people into being anything more than truly themselves. 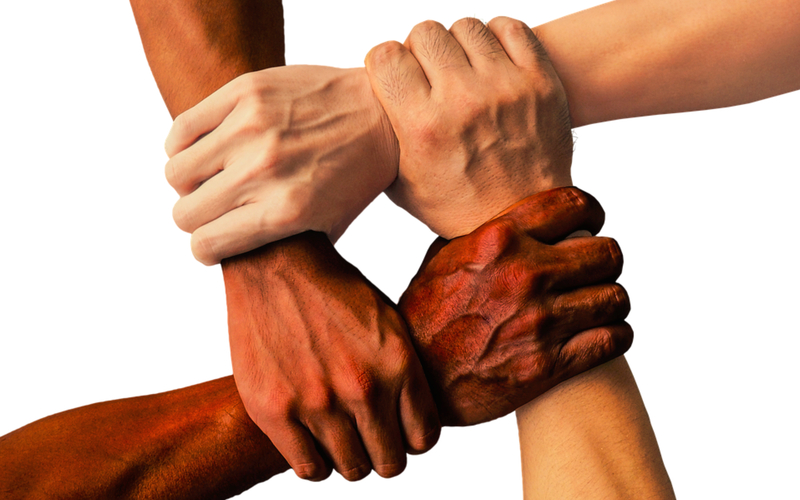 When we love like that we not only empower others, we further empower ourselves with the diversity of all we learn and we create community together. Disciples are made by love, not command. Something to think about this week. It’s National Aboriginal Day on June 21.